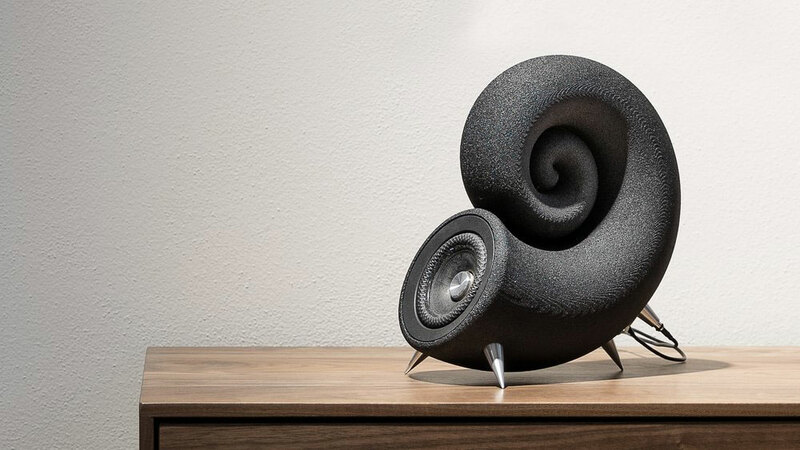 You might initially consider a set of Spirulas, nifty matte black speakers 3D printed from sand, to be the best gift ever for your favorite snail lover, but Deeptime has actually designed their sleek and unique sound system after the spiral-shaped cochlea in the human ear. So, yeah, now you also have the best gift ever for your favorite audiologist or ENT. 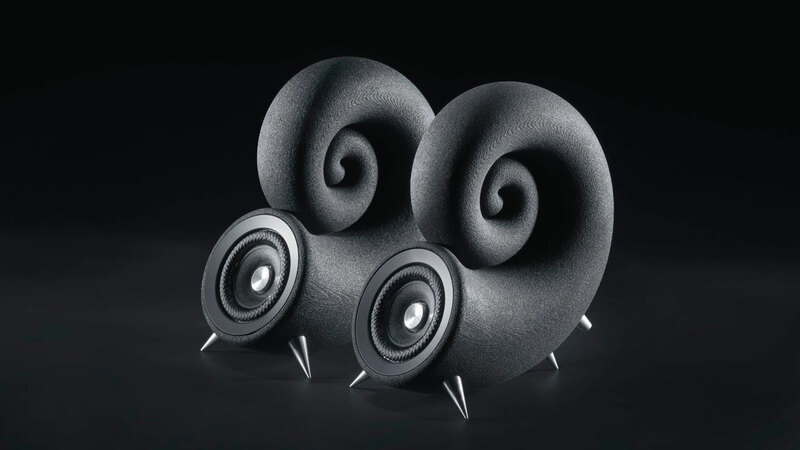 In my opinion the Spirula speakers' standout shape isn't even the most standout thing about them. As I mentioned earlier these speakers have 3D printed cabinets, and the medium Deeptime has chosen for that process is silica sand. Deeptime says they developed this new composite material and, when freshly printed, the sand cores are porous and brittle. 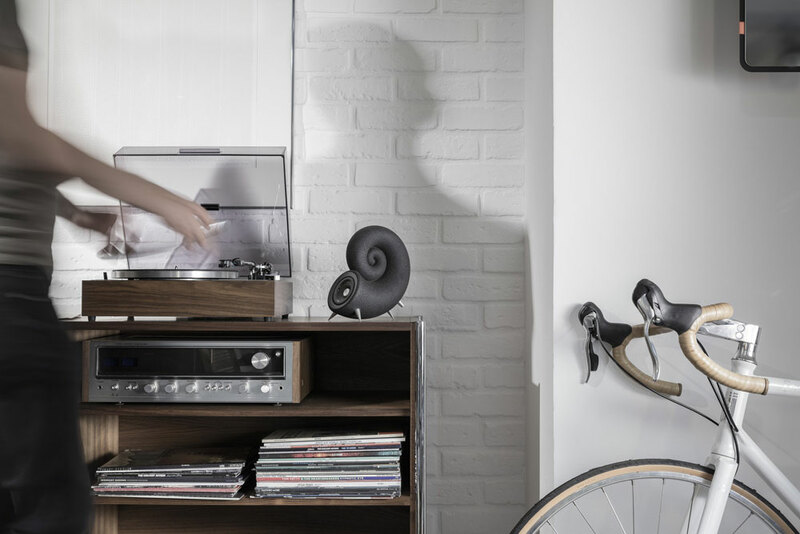 They set it with a bespoke hardener, which they say solidifies the Spirula speaker exteriors into air-tight, resonance-free structures. 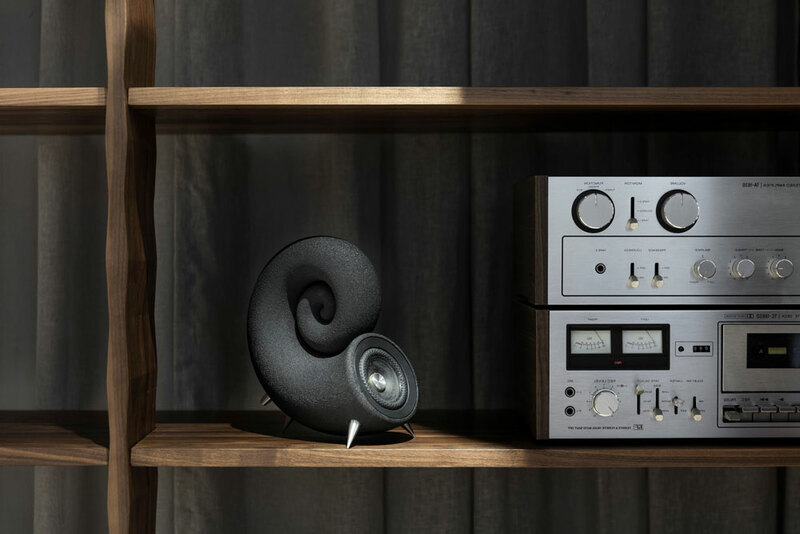 Additional Spirula design elements include an "ergonomically calculated angle" that supposedly aims sound directly at your ears. The speakers have a 3" full-range driver with bamboo fiber paper cone, structured Santoprene surround, and underhung motor. The driver sits in the tapering spiral of the cochlea, where sound waves are blocked from radiating out of the rear of the unit. Each Spirula tube also has an absorbent fiber fill to soak up additional sound energy from the back of the driver.